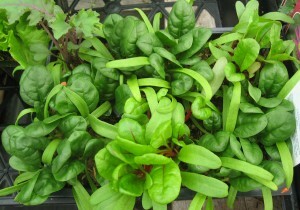 Bok Choy and Shanghai Bok Choy are cool-season Asian vegetables which are delicious, tender and easy to grow. Cabbage Patch and Pals is a pack of all your favourite cole crops. 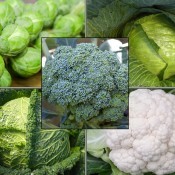 It includes 2 each of Emerald Crown Broccoli, one each of Gustus Brussels Sprouts, Farao Green Cabbage, Famosa Savoy Cabbage, and Bishops Cauliflower. 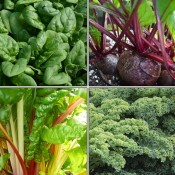 Colourful Veggie Garden includes all the varieties to produce a beautiful colourful garden…and they are delicious too. 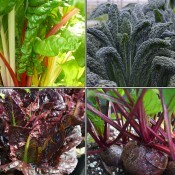 This pack includes two each of Bright Lights Swiss Chard and Detroit Supreme Beets, one each Black Magic Lacinato (Dinosaur) Kale and Rouge d’Hiver Romaine Lettuce. Heirloom Salad includes all the beloved varieties that have withstood the test of time. 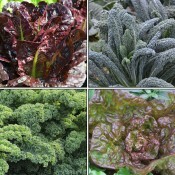 Some of these cultivars have been grown since 1900s. 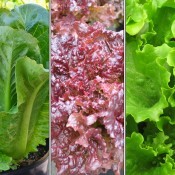 This pack includes two Rouge d’Hiver Romaine Lettuce and Continuity Butterhead Lettuce (Marveille de Quatre Saison), one each of Vates Blue Curled Kale and Lacinato Kale. Salad lovers unite. Signature Salad is the ultimate collection of the most popular salad greens. Kale has been classified as a “Super Food”. 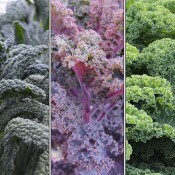 Our collection of these nutritious powerhouse vegetables include two each of Black Magic Lacinato (Dinosaur) Kale, Redbor Kale and Vates Blue Curled Kale.